Combining elements of mystery, history, and romance, this compelling narrative explores the river frontier of West Virginia to the Midwest in the 1900s. Unconventional for her time, Sarah Perkins is driven to excel and be successful in a man's world despite her traumatic childhood under an abusive father who strictly enforced traditional gender roles. Dreaming of one day being a riverboat pilot, Sara embarks on an adventure aboard the Spirit of the River, a premier paddleboat on the Ohio and Mississippi rivers. She's spent hours behind the wheel under the supervision of the captain, Jeremy Smith--her friendly rival and romantic interest--and longs to prove her worth. 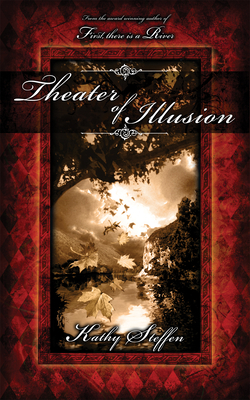 When a traveling troupe of entertainers, Le Th atre d'Illusion, discovers that a cast member has suspiciously disappeared while a mysterious and deadly illness afflicts the rest of the passengers, Sarah will find herself tested in unimaginable ways. Suspenseful and thrilling, this dynamic novel of hidden secrets offers an unflinching look at serious issues such as alcoholism, suicide, and gender, while maintaining a lively storyline full of adventure, independence, and life on the river wild. Kathy Steffen is the author of "First, There Is a River" and "Jasper"" Mountain." She belongs to the International Women's Writing Guild, Mystery Writers of America, and Romance Writers of America. She lives in Madison, Wisconsin.